In remarks to the press today, Obama said that his campaign had already released his birth certificate in 2008. And, in fact, FactCheck.org staffers handled, examined and photographed the "certification of live birth." That short-form document is what Hawaii releases to citizens who request a copy of their birth certificate, and we confirmed that it meets legal requirements for proving citizenship and obtaining a passport. We concluded: "Obama was born in the U.S.A. just as he has always said." If that wasn’t enough, Hawaii newspapers had run birth announcements in August 1961, shortly after Obama’s birth. And on top of that, Chiyome Fukino, the then-director of Hawaii’s Department of Health, released a statement in 2008, saying she had seen the original birth certificate on file verifying that Obama was born in Hawaii. Fukino released a second statement in 2009, saying that Obama "is a natural-born American citizen." The long-form version that the president released today has a few additional details, beyond what the short-form includes. It says he was born at Kapi’olani Maternity and Gynecological Hospital, just as the president has said. And it lists his mother’s birthplace as Wichita, Kansas, and his father’s as Kenya, East Africa. The certificate is also signed by Obama’s mother and an attending physician. An attorney for Obama, Judith Corley, wrote to the Hawaii Department of Health on April 22, requesting "a waiver of the Department of Health’s policy, so that my client can obtain two certified copies of his original, ‘long form’ birth certificate. Waiver of the Department’s policy in this instance would allow my client to make a certified copy of his original birth certificate publicly available and would also relieve the burden currently being placed on the Department of Health by the numerous inquiries it receives from the media and others relating to my client’s birth record." 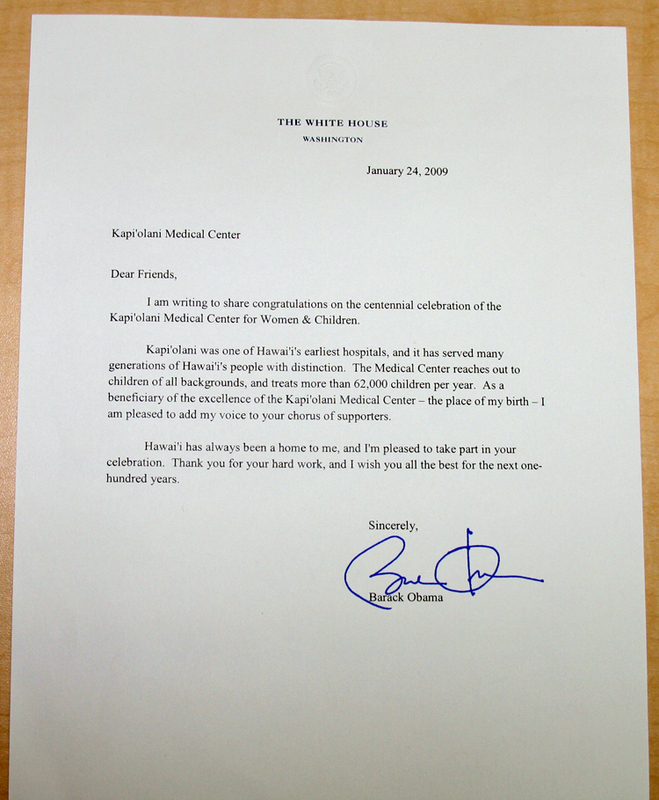 Corley also included a letter from Obama, requesting the copies. On April 25, state Director of Health Loretta J. Fuddy wrote to Obama, saying that she was "making an exception to current departmental policy" and issuing copies of the original Certificate of Live Birth. Obama said he sought release of the long-form birth certificate so that the nation could focus on more serious matters. "We do not have time for this kind of silliness," he said. We certainly have debunked a fair share of silliness on this issue. But Obama also said he’s sure that no matter what evidence he produced, for some segment of society "this issue will not be put to rest." Tell us about it, Mr. President.